For over 80 years, Ancel Glink has built and modernized the practice of local governments in Illinois. Each Ancel Glink attorney is committed to providing quality legal services to effectively and efficiently advise our clients. We are experienced in representing a variety of units of local governments, including municipalities, counties, park districts, townships, libraries, school districts, and various special districts. From litigation to land use and labor relations, our clients enjoy access to top attorneys and large firm resources in a small, personalized setting. Our specialized legal staff has one fundamental goal: Empower our clients. Every step of the way, Ancel Glink is working for your success. Patterson Buchanan is a Pacific Northwest law firm dedicated to the needs of public entities, including cities. While the firm generally practices all manner of litigation defense, including appeals, we also provide general counsel, transaction, and administrative/regulatory service. We have the infrastructure and background to provide strong representation in the most complex cases, and at a reasonable cost. Alvarez-Glasman & Colvin is a boutique law firm specializing in representing public agency and private sector clients in the complex fields of real estate, land use and development, environmental law, employment and labor relations, public safety and police litigation, and general liability and risk management. AGC’s attorneys are guided by the Firm’s mission statement: To understand our client’s goals, to determine how they can be efficiently achieved, and to zealously advocate until they are realized. CannaRegs is an online legal research platform serving the cannabis industry. Developed by attorneys, CannaRegs organizes the laws into distinct categories with the ability to search and sort results. CannaRegs provides access to thousands of hours of legal research with its unique features and tools, including Smart Search, Legislative Tracker, the rule-making event calendar, official publications, and Quick View for California’s allowed license types. Richards, Watson & Gershon (RW&G) is widely recognized as one of the premier full service law firms to local governments, providing the highest quality legal services in a cost-effective manner. Local governments rely on RW&G because it has assembled a number of the leading attorneys in the state and dedicated them to creatively solving the problems of local governments. RW&G was established in 1954, and the Firm has been providing public entity legal services for over 50 years. 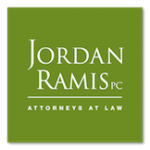 We have a statewide practice with offices in Los Angeles, Orange County, San Francisco, and Temecula. We serve as City/Town Attorney, Special Counsel, and General Counsel to public entities throughout California. Our representation of public entities includes cities, towns, counties, water districts, school districts, community special districts, other special districts, airports, joint powers authorities, successor agencies, and former redevelopment agencies (which are currently navigating dissolution pursuant to AB X1 26). 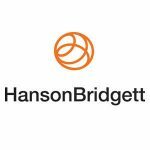 A northern California law firm, Hanson Bridgett has more than 150 attorneys with offices in San Francisco, the North Bay, Sacramento, and Silicon Valley. Its practice groups encompass traditional areas of law such as general business and corporate law, litigation, and estate planning and administration, as well as sustainable business, health care, senior housing and care, construction, intellectual property, labor, and employment and public sector law. Public law has been a principal specialty of Hanson Bridgett for more than 40 years. Hanson Bridgett represents – as general or special counsel – cities, counties, transportation districts, water districts, community service districts, fire districts, hospital districts, joint powers authorities, associations of local governmental agencies, and sanitation districts. RPLG practices throughout California, advising and advocating for public agencies, nonprofit entities, individuals and private entities in need of effective, responsive and creative legal solutions. BB&K is a limited liability partnership that has been in business for more than 125 years. We are a full-service law firm with nearly 200 attorneys in eight offices throughout California and one in Washington, D.C. We deliver effective, timely and service-oriented solutions to complex legal issues facing public agencies, businesses and individuals across the U.S. and internationally. Our large public agency practice means that we work in the public interest and on many of the most challenging issues our society faces today. A nationally recognized leader in Municipal and Environmental law, we efficiently, intelligently and meaningfully assist our public agency clients with complex, multi-disciplinary issues and provide creative solutions. We successfully maneuver our public agency clients through legal complexities and governmental mandates. BEH was founded in 1998, when Pamela Beery and Paul Elsner recognized the need for a law firm in Oregon that dedicated itself solely to the representation of local governments. As the practice of municipal law becomes increasingly complex, and opposing interests seek advantages through negotiation, litigation and legislation, the kind of specialized representation that BEH offers is key to the business of our local government clients.\n\nPam and Paul were joined by partners John H. “Jack” Hammond in 2004, David Doughman in 2009, and most recently Chad Jacobs in 2014. Although Jack and Pam retired in 2010 and 2015 respectively, and Paul became Of Counsel in 2016 – we are eight lawyers strong in 2017. The new partnership of David and Chad are fortunate to have Paul Elsner, Christopher Crean, Nancy Werner, Heather Martin, Ashley Driscoll and Spencer Parsons working with them, each of whom has substantial experience in representing local governments.\n\nTogether with our staff, we are committed to delivering cost-effective and responsive legal services. We were proud to commemorate the 20-year anniversary of the firm in January, 2018. Pragmatic, commercially sound legal advice from attorneys who have in-depth knowledge of your company and industry.